Join us for the 14th Annual 10 Grand Club on Friday, April 19! All losers are immediately entered into a "Second Chance" prize drawing! You don't need to attend to win! Join us on April 19 with colleagues and friends to enjoy the Chamber's most exciting social event of the year! Join us at our annual State of Education Breakfast featuring presentations from Dr. Christopher Fiorentino, President of West Chester University and Dr. James Scanlon, Superintendent of Schools - West Chester Area School District. Dr. Fiorentino and Dr. Scanlon will discuss how their education institutions will work with the business community to better prepare students for the jobs of the 21st Century. 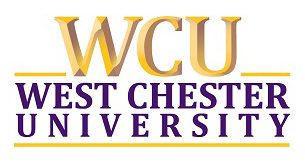 We will also celebrate Chester County’s High School entrepreneurs and finalists of WCU Business Idea Competition.